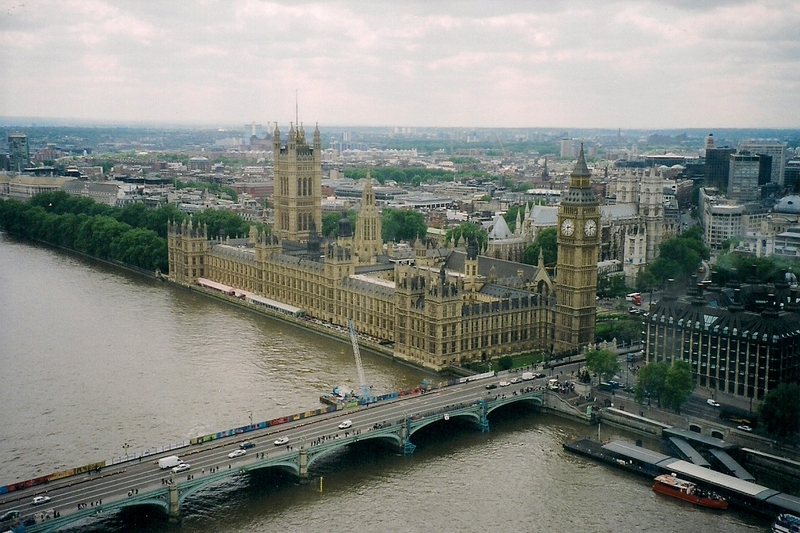 Another shot from the London Eye. 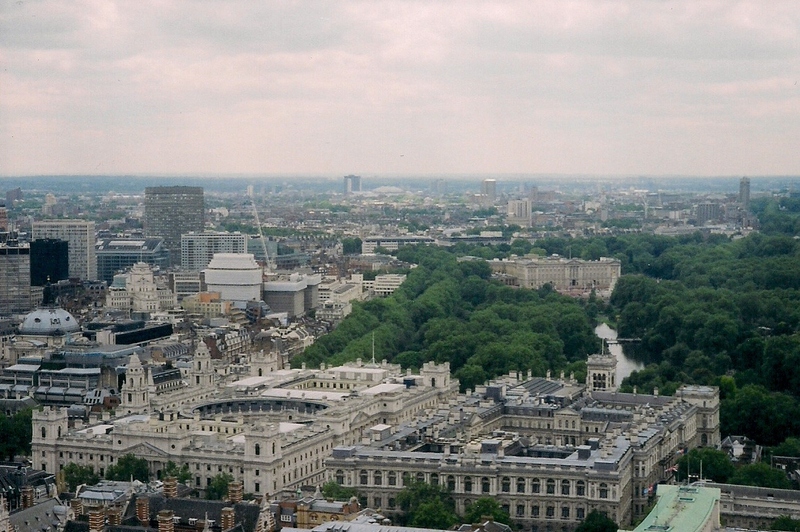 Buckingham Palace is near the center and to the right. Can you see the Queen waving hello from the balcony? My other favorite souvenir book is a book about the Winchester Mystery House in San Jose, California. This house has got to be the strangest house ever built. 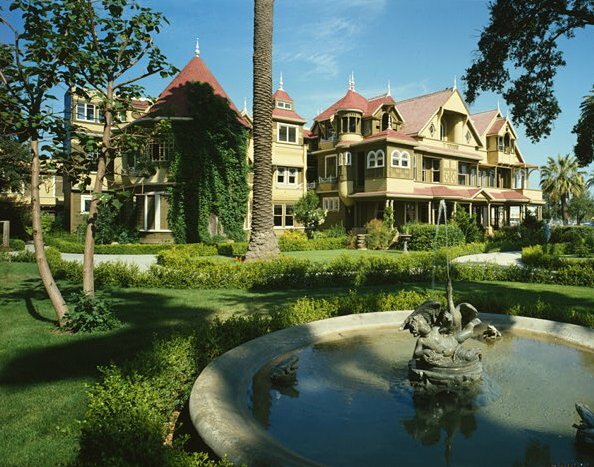 Sarah Winchester, the heiress to the Winchester rifle fortune, converted an eight-room farmhouse into a 160-room mansion over the course of 38 years. This house has bizarre architectural features such as staircases that go up to the ceiling and stop there, windows set into the floor, a “Door to Nowhere” that opens to a steep drop to ground level, a closet that is only an inch deep and a secret passage. The house is so confusing that movers removing furniture after Sarah’s death in 1922 needed maps to find their way back out. Winchester Mystery House. Look closely at the second floor to see a black-colored doorway which is the “Door to Nowhere.” Image courtesy of the Library of Congress, Prints and Photographs Division, CA-2107, and Wikimedia Commons.